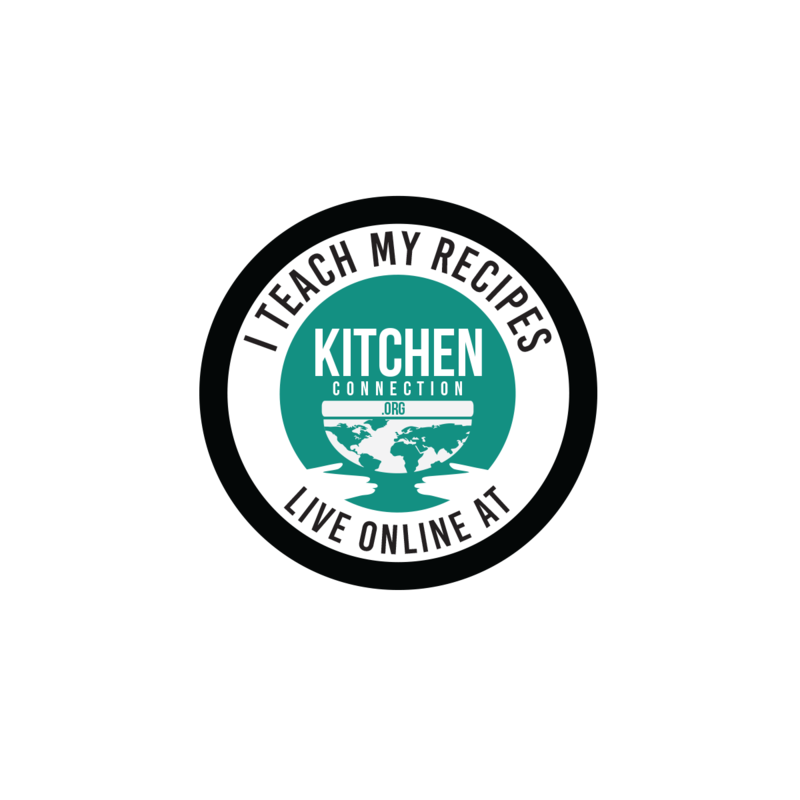 Want to prepare a spicy rice with healthy ingredients? 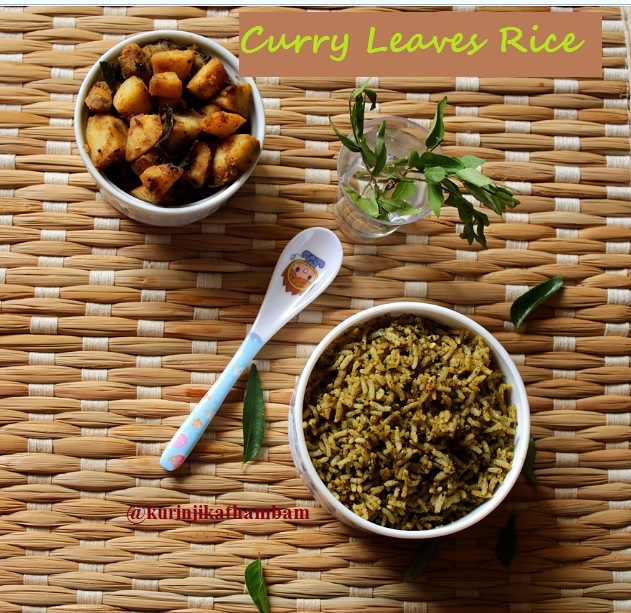 Curry Leaves Rice is a Spicy and Flavourful variety rice recipe; Normally when Curry Leaves are used in dishes, we take it out before eating. But in this Variety rice, it gets mixed with the rice and is eaten. My Aunt prepares this recipe regularly and I have taken this recipe from her. 1. Cook the rice and allow it to cool down completely. 2. Heat 2 tsp of oil in a pan, add red chilli, coriander seeds, chana dal, urad dal, cumin seeds and pepper corn. Sauté till the nice aroma comes out. 3. 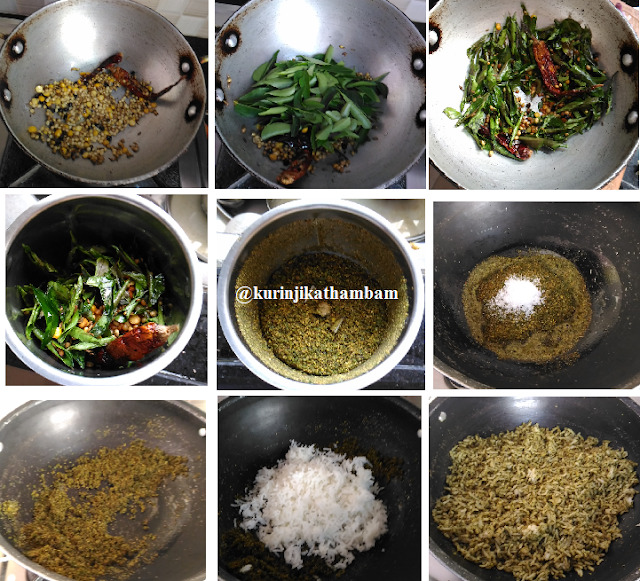 Then add the curry leaves and sauté till the sparkling sound (pada pada sound) stops. Allow it to cool down. 4. Then grind the above mixture into a powder ( not too fine) using the dry mixie without water. Keep it aside. 5. Heat the sesame oil in a pan, add mustard seeds and wait for popping. Then add the cashew nuts (if used) and fry till they become golden color. 6. 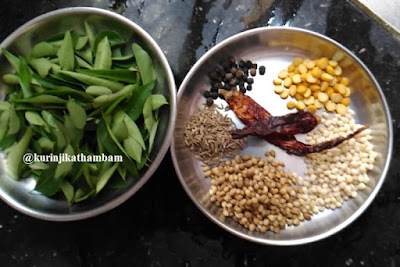 Then add the curry leaves power (from 4) and salt. Fry them for few seconds, and then add the cooked rice and mix them well. Keep the flame at simmer and close the lid of the pan. 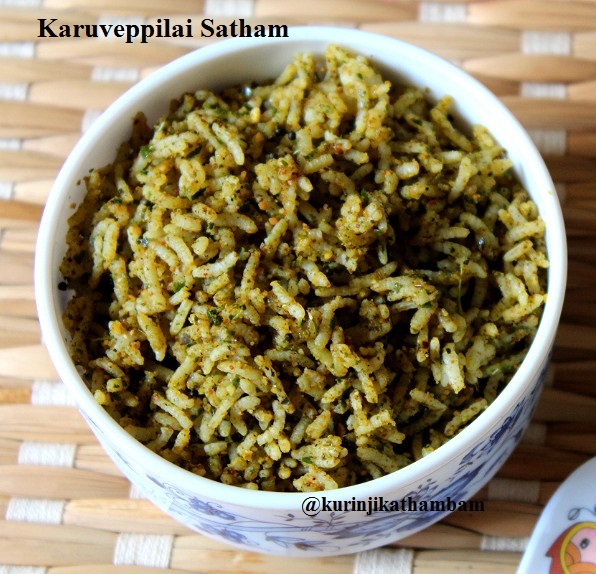 Leave it for 2-3 mins, then mix them well and serve it with spicy fry or vadagam. Healthy green curry leaves rice is ready! Nice recipe. Lovely snaps. Thanks.